The injuries employees received in this structure collapse could have been much worse. The only thing that prevented worse injuries from their 20-foot falls? The workers fell into freshly poured concrete. Cal/OSHA has cited three contractors $147,315 for safety violations after the collapse of a temporary mold (formwork) and vertical shoring at a construction site in Oakland, CA. On May 26, workers at a 435-unit mixed-use project were pouring concrete into elevated formwork when the shoring system supporting the formwork collapsed. The workers fell some 20 feet along with freshly poured concrete, reinforcing steel, timber framework, and tools and equipment. One worker’s injuries required surgery. Cal/OSHA’s investigation found the formwork and vertical shoring system that collapsed weren’t properly designed, installed or inspected. 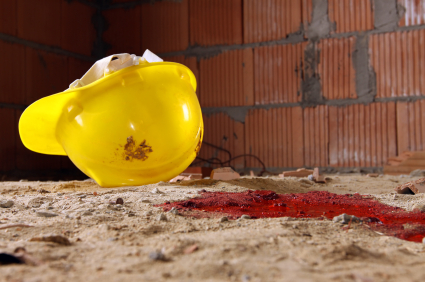 Cal/OSHA issued serious and serious accident-related citations to subcontractors Largo Concrete Inc. and N.M.N. Construction Inc. for $73,365 and $70,320 respectively. ensure the shoring supports were erected on a level and stable base. General citations were issued to general contractor Johnstone Moyer Inc. for $3,630. “Employers must identify, evaluate and correct unsafe work conditions,” said Cal/OSHA Chief Juliann Sum. For safety requirements for concrete construction and vertical shoring, see Cal/OSHA’s Pocket Guide for the Construction Industry.